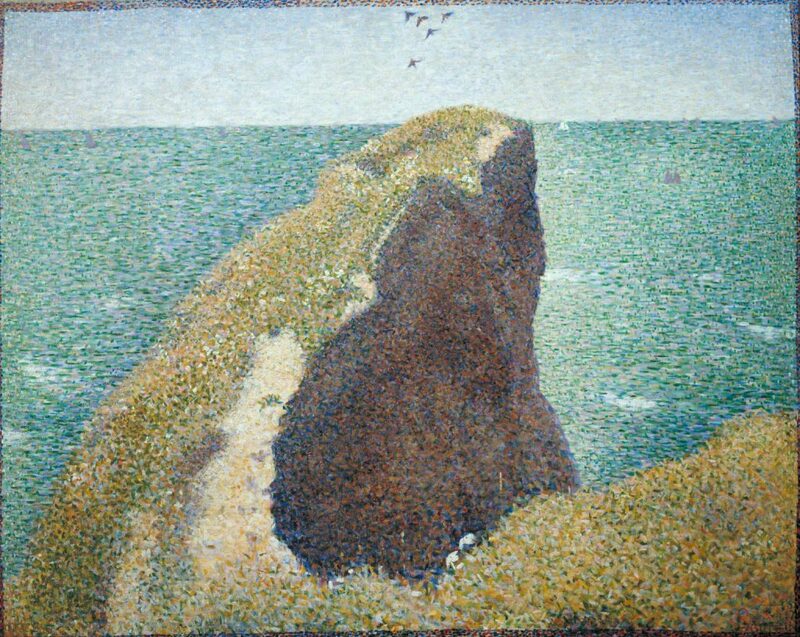 Seurat produced his first series of coastal paintings (or ‘marines’) in 1885, spending part of the summer at Grandcamp in Normandy. Then in 1886 he painted at Honfleur. 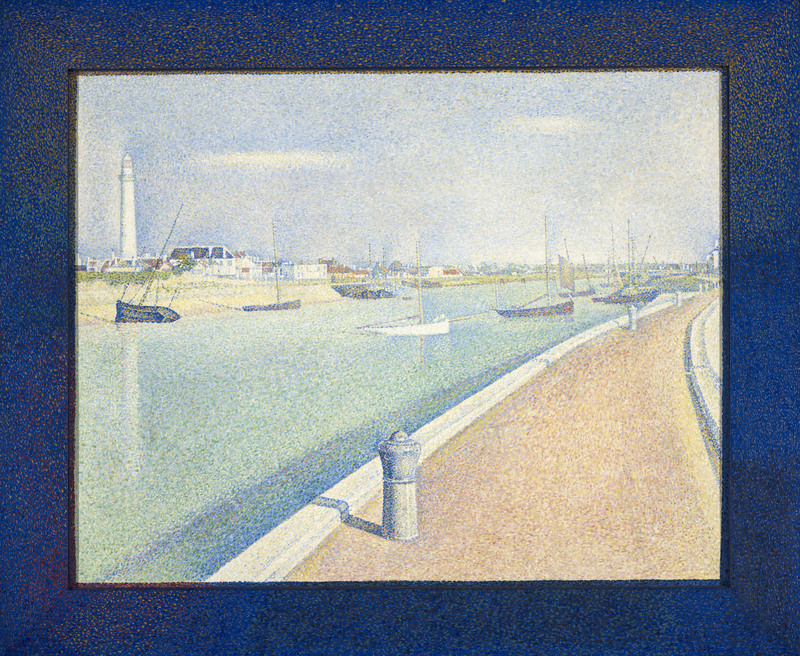 In 1887 his summer was interrupted by a second short period of conscription but during subsequent summers he travelled to various locations along the Normandy coast and further north in Picardy, his interest in coastal towns and vistas possibly having stemmed from his year’s military service based at Brest. 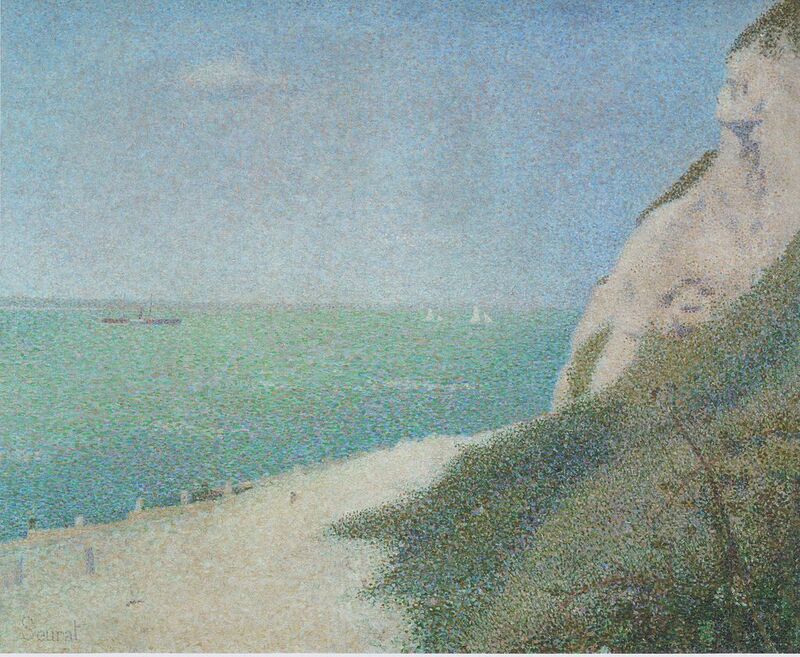 In 1888 he was in Port-en-Bessin where his choices of subject matter seem to have owed something to Monet’s paintings of Varengeville in 1882. 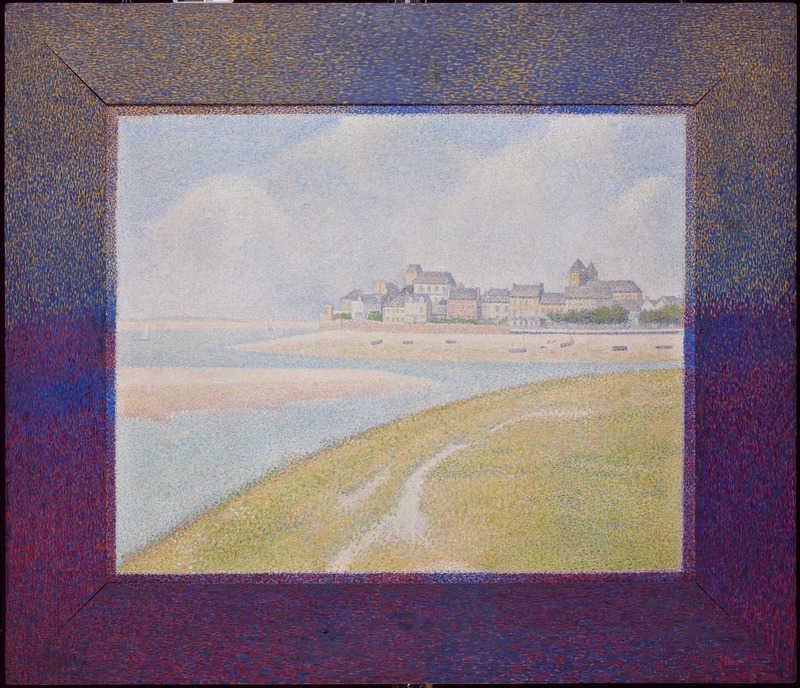 Seurat worked at Le Crotoy in the summer of 1889 and in 1890 he was at Gravelines. Winters were spent completing works from these trips as well as working on his larger canvases. 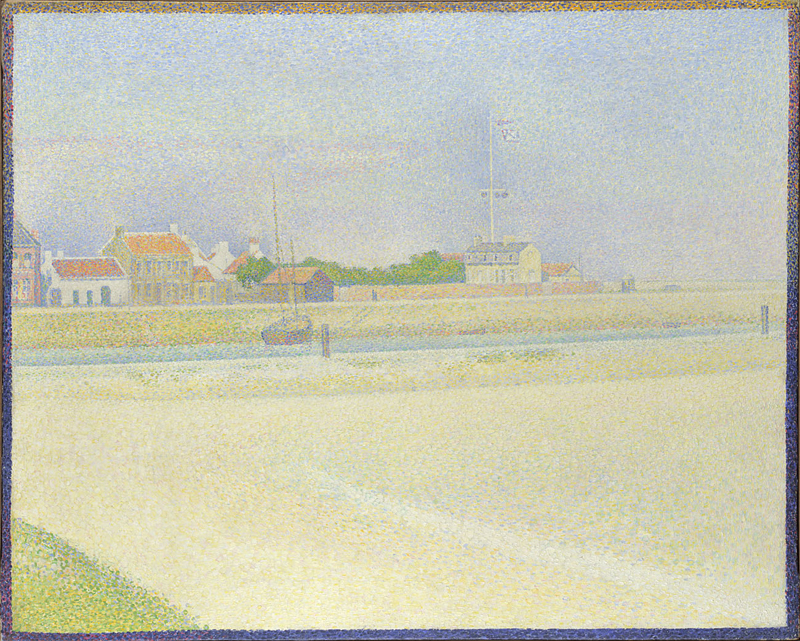 The Channel at Gravelines, Grand Fort Phillippe, one of his last paintings, is the culmination of a tendency in Seurat’s coastal canvases to increasingly strip out content and reduce colour tonality. As the influential critic Gustave Kahn pointed out, ‘his marines blench and leech out their colour’. His choice for compositional minimalism may have been influenced by the a trend in that direction among landscape painters perhaps dating back to the 1860’s with Courbet’s minimal Seascapes and the 1870’s with Whistler’s riverscapes. The satirical works of Alphonse Allais which were exhibited at the 1883 Salon des Arts Incohérent were an ironic comment on this trend.